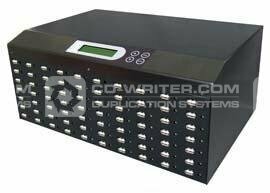 ADR USB Producer is a standalone, high speed, highly efficient device which provides an easy copy solution. Models ranging from 6 to 118 targets are available to meet different capacity needs of customers. ADR . USB . Producer . 1 . to . 69 . Standalone .